In addition to instruction by the club’s dedicated student leaders, membership in Boston University’s Jiu Jitsu club includes on-site professional coaching. Originally from Brasilia, Brazil, Professor Alexandre Costa is a four-time world champion and head instructor of his Gracie Barra Boston school. With over 30 years experience, he and his associate coaches will provide BU BJJ excellent instruction in the art of Brazilian Jiu Jitsu. 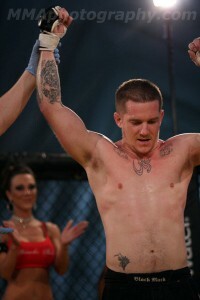 Nick is currently an undefeated fighter in both the XCFL and CFX Mixed Martial Arts league. Nick will be teaching Muay Thai– six years with the club, and counting.